Over the past few years, there has been a massive shift in advertising that places a much higher emphasis on social media marketing, using networking websites such as Facebook, Instagram, and Twitter to garner a significant amount of conversions for businesses due to how vast their user audiences are. 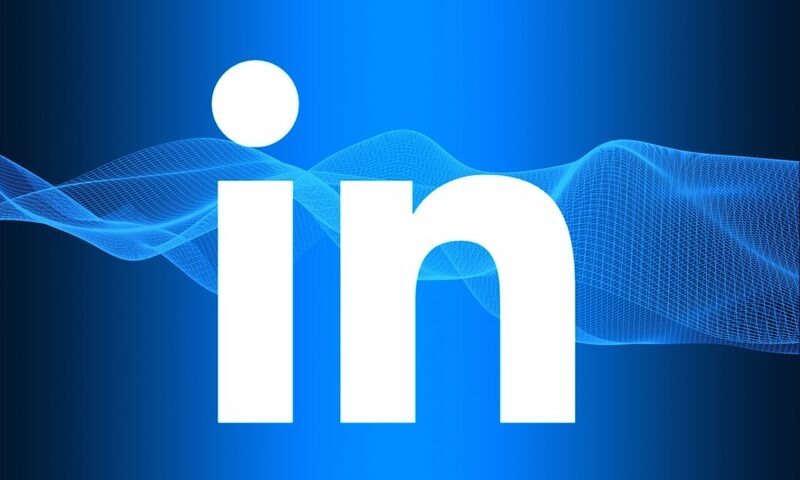 However, one social networking website, LinkedIn, previously known for its business-minded platform, has finally joined in by offering businesses several advertising options. If you are a small company that is in the business to business (B2B) industry with services in software, consulting, coaching, self-improvement, skill-building, e-commerce, or professional skills, then LinkedIn Ads are a must. This is because LinkedIn was explicitly built for both professionals and businesses that offer business-only oriented content, products, and services. How Do the Ads Work and What Types Are There? The advertising options can be broken down into two categories, the first being self-service ads, and the second being managed campaigns. The self-service ads are for individuals or businesses that want to set up their own budget, write out their own written ad copy, and manage their own campaigns. The managed campaigns differ in that the advertising team at LinkedIn will actually help you with your ad copy and help you reach your designated prospects. Similar to Facebook, both of these advertising options can be found on the LinkedIn Campaign Manager platform, where you can start, manage, and stop all ad types. In this area, you can track all of your metrics, including your conversions, impressions, money spent, demographics, and clicks. With regard to ad types, there are text ads, sponsored content, sponsored in-mail, and display/dynamic ads. The display and dynamic ads are found only through the campaign manager and tend to be pricier than the other options, but they also prove their worth more often than not. What Do I Need to Know About These Ad Types? In order to grow your small business efficiently, you have to know which type of ad works best for your company and how to use it effectively. Here is a breakdown of each ad type and what you need to make them work. Text Ads: These types of ads are perfect for those who are new to advertising and come in two varieties. You can either have a PPC (pay-per-click) text ad where, as the name indicates, you pay whenever someone clicks on your ad, or a CPM (cost-per-impression) ad, where you only pay when the right target sees your ad. With these ads, you write up your own copy and upload them to the Campaign Manager. You will need an image, a strong call to action button or prompt, a focused target group, and a direct message to your audience. You will also need a catchy but short headline and a precise description. Sponsored Content: These types of ads are very eye-catching because they are engaging, prompt discussions amongst your audience, and can be shared by all of those who see them. They show up in your target audience’s feed and are visible regardless of what type of device the prospect is using. Sponsored InMail: This type of ad is targeted directly at your audience through the LinkedIn messenger system. Essentially, when they log in, users will see that they have a message in their inbox and will be able to view the ad directly from their inbox. This is a great ad type to use if you run live events, or host live webinars. These are also very easy to create as all you need is a campaign name, the sender’s first and last names, and their profile image. You will have to write a personal and engaging message though, that doesn’t come across as spammy or as if you are reaching out for the sole purpose of pushing your products or services. Display Ads: These are bought through either open or private auctions, are a bit more sophisticated in their nature, and always appear on high traffic LinkedIn pages. There are several parameters you will need to comply with depending on which display ad you would like to place, and they can be found here. Dynamic Ads: These are personalized ads which is what makes them so effective. You will need to write your own ad copy and choose a call to action button, but this type of ad has a high success rate. You can learn more about them here. How Does a Small Business Get the Most Out of LinkedIn Ads? For them to be the most effective, you will need to have professional ad copy written, and you will need to create ads that are relevant to your target audience and your industry. This means that you will need to have photographs, design, and copy that supplement one another while keeping the industry and target audience in mind. You will also need to pay close attention to the tools used in choosing and targeting your ad’s demographics. These tools will ensure that the right people, in the right industry, in the right position, see your ads. Other than this, make sure to monitor the performance of all ads as not every ad will work. Experiment with different images, headlines, and the written copy of your ad to find out what works best for you.